In the early morning hours of Sunday, June 5, Adremy Dennis (18) and Leroy Anderson (17) decided to go to a bar and "meet some chicks." Anderson spoke of "robbing somebody," and the pair armed themselves with weapons: Dennis with a sawed-off shotgun and Anderson with a .25 caliber handgun. The pair had a few drinks and walking from the bar unsuccessfully attempted to rob a man they encountered. Minutes later, the two confronted 29 year old Kurt Kyle outside his home talking to a friend. When they demanded money, the friend inside the car slowly handed over his wallet with $15 in it. Kyle, outside the car, searched through his pockets and told Dennis that he had no money with him. Dennis then pulled out the sawed-off shotgun and shot Kyle in the head at point-blank range. Kyle died instantly. The men ran from the scene. At his clemency hearing 10 years later, Dennis told the Parole Board that he was high and that Kyle was at fault for failing to cooperate with him. Accomplice Leroy Lamar Anderson was 17 at the time of the crime and Ohio law prohibits the death penalty for those younger than 18. He is serving a life sentence. State v. Dennis, Not Reported in N.E.2d, (Ohio App. 9 Dist. 1997). (Direct Appeal). State v. Dennis, 683 N.E.2d 1096 (Ohio 1997) (Direct Appeal). Dennis v. Mitchell, 68 F.Supp.2d 863 (N.D.Ohio 1999) (Habeas). Fried catfish, lasagna with meat sauce, garlic bread, sweet potato pie, pecan pie and pumpkin pie, all with whipped cream, as well as vanilla and chocolate ice cream. "I'm in God's hands now. Everything's going to be just the way it was intended. I'll see everybody when they get there." Date of Meeting: September 21, 2004 - Minutes of the SPECIAL MEETING of the Adult Parole Authority held at 1030 Alum Creek Drive, Columbus, Ohio 43205. INDICTMENT: Agg. Murder w/ (2) Death Penalty Specs w/FirearmSpec. ; Att. Agg. Murder wIFirearm Spec. ;(3) Counts Agg. Robbery w/ (3) Firearm Spec. ; Unlawful Poss. of Dangerous Ordnance w/Firearm and Physical Harm Spec. SENTENCE: Ct. 1-Agg. Murder - Sentenced to Death, Firearm Spec.-3 yrs. prior to and cs/w death; Ct. 2-Att. Agg. Murder - 10 to 25 Yrs, Firearm Spec.-3 yrs. prior to and cs/w 10-25 and cs/w Ct.1; Ct. 3-Agg. Robbery- 10-25 yrs, Firearm Spec.- 3 yrs prior to and cs/w 10-25 yrs., specs to Ct. 3 merged with specs to Ct. 2, Ct. 3 cc/w Ct. 1; Ct. 4-Agg. Robbery 10-25 yrs, Firearm Spec.- 3 yrs. prior to and cs/w 10-25 yrs., Ct. 4 cs/w Cts. 1 & 2; Ct. 5-Agg. Robbery 10-25 yrs., Firearm Spec. - 3 yrs. prior to and cs/w 10-25., Spec. to Ct. 5 merged with Spec. to Ct. 2., Ct. 5 cc/w Cts. 1 & 2; Ct. 6-Possession of Dangerous Ordnance- 3-5 yrs. Firearm Spec.- 3 yrs. prior to and cs/w 3-5 yrs., Ct 6 cs/w Cts. 1, 2. AGGREGATE SENTENCE: Death consecutive with 12 years (specifications) consecutive with 23-55 years. ACCOMPLICE: Leroy Lavar Anderson, A301526, (Sent. Life Imprisonment for Agg. Murder, Att. Agg.Murder, and 3 Cts. of Agg. Robbery). First statutory parole hearing March 2022. Clemency in the case of Adremy Dennis #306-133 was initiated by The Honorable Bob Taft, Governor of the State of Ohio, and the Ohio Parole Board, pursuant to Sections 2967.03 and 2967.07 of the Ohio Revised Code and the Parole Board Policy #105-PBD-05. A previous Clemency Report was sent to The Honorable George V. Voinovich, then Governor of the State of Ohio, on January 30, 1998. That report contained a unanimous Parole Board recommendation against clemency. On September 10, 2004, Parole Board Member Jim Bedra interviewed Mr. Dennis at the Mansfield Correctional Institution for our most recent investigation for this report. Also present at the meeting was Kyle Timken, Assistant Public Defender. A Death Row Clemency Review Hearing was held on September 21, 2004 with eight members of the Ohio Parole Board participating. Present at the hearing on behalf of Mr. Dennis were Assistant Public Defenders, Stephen A. Ferrell, Kyle Timken and Linda Prucha and family members Marquita Dennis, the inmate’s mother; and Darnise Fisher, Querita St. Andre and Irene Donnie, the inmate’s aunts. Present at the hearing on behalf of the State, were Summit County Assistant Prosecutor Richard Kasay and Assistant Attorney Generals Tim Prichard and Stephen Maher from the Office of the Ohio Attorney General. Representatives from the victims’ families included Doreen and Howard Kyle, victim’s parents, Craig Kyle, victim’s brother, Martin Eberhart, victim of the Agg. Robbery and close friend to Mr. Kyle and Curtis Sabo, friend to Mr. Kyle. At the conclusion of the hearing the Board gave careful review, consideration and discussion to all testimony provided and supplemental materials submitted. The Board voted and reached a majority decision. We now submit to the Honorable Bob Taft, Governor of the State of Ohio our report and recommendation. A short time later, Dennis and his accomplice Anderson, approached victims Martin Eberhart and Kurt Kyle in front of Kyle’s home. Earlier that evening, Mr. Kyle, an amateur stock car driver, had raced at Barberton Speedway and was hosting a barbeque for friends in celebration of his victory. Mr. Eberhart was leaving the gathering and Mr. Kyle accompanied him to his car. At that point, Dennis and Anderson approached the victims. Anderson demanded money while pointing a gun at Eberhart’s neck. The victim in turn handed over $15.00 that had been in his wallet. At the same time, Dennis demanded money from Kyle. However, Kyle searched his pockets and told Dennis that he had no money with him. Dennis then pulled out a sawed-off shotgun and shot Kyle in the head at point-blank range. This severed both carotid arteries, killing him. The two assailants ran away together. A few days after the murder, police received a call from Anderson’s mother advising them that a possible suspect was living in her home. After procuring a search warrant, police seized several items from the home, including a .25 caliber handgun, a 20 gauge sawed-off shotgun and seven shotgun shells. A short time later, police surrounded the Dennis home and apprehended Adremy Dennis. After waiving his Miranda Rights, Dennis, in a taped interview with detectives, admitted to shooting Kyle with the sawed-off shotgun. He further admitted that he and Anderson had planned to do some robberies that night. While admitting that he fired the shotgun three separate times that night, he asserted that each shot was accidental and that he “could barely focus ” due to consuming alcohol and marijuana prior to the robberies. A jury trial commenced December 12, 1994. After deliberation, the jury found Adremy Dennis guilty as charged. Mr. Dennis was admitted to prison January 5, 1995. His prison files were reviewed on September 10, 2004 and it was found that he has made a positive adjustment in prison. He has had only two minor rule infractions during his ten (10) years of incarceration. Staff indicate that he is no problem on the unit and generally keeps to himself. Mercy is appropriate in this case. Dennis was not even five months past his eighteenth birthday at the time of this offense. Although he was statutorily and constitutionally eligible for the death penalty, his youth and lack of maturity call for mercy. He was raised in the worst of circumstances and was completely neglected until the age of fifteen. Had Dennis committed this offense five months earlier, his age would have completely precluded imposition of the death penalty. However, maturity does not occur suddenly, upon the passing of a birthday. His level of maturity at the time of this offense was not very different from what it had been five months earlier. Therefore, his youth must carry enormous weight in determining what sentence is ultimately appropriate for him for this crime. His age is particularly significant because his background of incredible neglect left him almost incapable of exercising good judgment and responsible behavior. His youth and background do not excuse his offense, but they do argue strongly for mercy. Dennis had a neglectful family upbringing. His lack of parenting and inadequate education left him immature and vulnerable to the worst influences. He was born to an extremely unstable 19 year old mother who demonstrated her inability to effectively parent Dennis from the beginning. She had no prenatal care. When he was only one week old, he became sick when his mother gave him concentrated infant formula without any liquid added. His father was abusive towards his mother and prevented her from purchasing food, diapers and other necessities. They frequently fought and argued until he left them when Dennis was five years old. He was never able to progress in school. In his first year of kindergarten, he missed 31 days out of 60 days and was withdrawn in February. Similar absences were noted the next year when he was again placed in kindergarten. He later repeated the first grade, and after that was placed in third grade but the absences continued. He missed 34 days and failed third grade. The next year he missed 71 days. His absences became worse as time went on. As a seventh grader, prior to his placement in foster care, he had missed 122 days. His mother nor school officials took substantial action to correct the problem. During these crucial years, Dennis was simply absent from his education through no fault of his own. He was frequently left alone with no one to take responsibility for him. Dennis was finally removed from his neglectful home by the Children Services Board when he was 15 years old. He was placed in foster care for the next three years. He developed a loving relationship with his foster mother. Within her home he met her expectations, but the damage of his past could not be undone according to two psychologists. It was too little too late. Psychologist James Brown testified at Dennis’ trial as to the lack of parenting in his life. Patterns of behavior were set and it was too late. His problems needed to be addressed by the age of five or six and they were not. Psychologist, Sandra McPherson, in her evaluation of Dennis for his post-conviction proceedings, suggested that Dennis most likely suffers from Attention Deficit with Hyperactivity Disorder. The condition was never treated which would account for his deteriorating functioning in his adolescent and young adult years. This made him vulnerable to the substance abuse he encountered during his youth. Numerous warning signs of disaster were ignored at an early age and he was not placed in foster care until he was fifteen years old. Dr. McPherson concluded it was indeed too little too late. Dennis was a young man whose judgment was poor and further impaired by alcohol and drug abuse on the night of the offense. The facts of the offense tend to show that the shooting was an impulsive act that would never have occurred but for the lethal combination of extreme immaturity coupled with extreme intoxication. He now admits his guilt and accepts full moral responsibility. In his unsworn statement at the penalty phase, Dennis expressed remorse for the killing of Mr. Kyle. He acknowledged that maybe no one would believe him, but he never meant for this to happen. It is something that he lives with and thinks about every day of his life. He can never undo what has happened, but Dennis does take responsibility for this tragedy and expresses his remorse. In the interest of justice in this tragic offense, the harsh punishment of a life sentence for an eighteen year old offender does not diminish the seriousness of the offense; therefore the applicant pleads for mercy and asks for a commutation of his death sentence to a life sentence without parole eligibility. Richard Kasay, Summit County Assistant Prosecutor and Timothy Prichard and Stephen Maher, Assistant Attorney Generals of the Ohio Attorney General’s Capital Crimes Unit represented the State of Ohio at the hearing before the Parole Board on September 21, 2004. Arguments offered in opposition to the granting of Executive Clemency included: The evidence overwhelmingly establishes Dennis’s guilt. The facts of this case clearly indicate that a jury lawfully imposed the death penalty on Dennis, and that his convictions and sentences had not been reversed after nearly ten years of judicial scrutiny by every level of both the state and federal courts. These courts have also reviewed the actions taken by Dennis’ trial and appellate counsel and have steadfastly held that Mr. Dennis received competent representation at every stage of the proceedings. Mr. Dennis was the “principal offender” in the crimes where Aggravated Robbery was the motive and that he shot Mr. Kyle in the head with a saw-off shotgun at point blank range. The murder was committed as a course of conduct involving the killing or attempt to kill two or more persons. Mr. Dennis has never expressed “genuine” remorse and has never accepted responsibility for his actions as he has provided numerous versions of his involvement. His taped interview with the Board on September 10, 2004 is a validation of his current mindset which is similar to his criminal way of thinking at the time of his crimes ten years ago. Dennis has acknowledged that he was in a leadership role with the Folks gang. He has tattoos on his chest of the numbers 187 and 211, which are the California Penal Codes for Homicide and Aggravated Robbery, which signify his crimes of conviction. He has an established prior record of juvenile criminal conduct resulting in adjudication. The aggravating and mitigating circumstances surrounding the crimes were considered at trial, upheld throughout the appellate process, and affirmed by the Ohio Supreme Court. The victim’s mother, Doreen Kyle, and the victim’s brother, Craig Kyle, gave statements describing their incredible loss since the murder of the victim. Their statements were silent as to whether the death penalty should be carried out. Also giving a statement was the Aggravated Robbery victim, Martin Eberhart, who gave details of the instant offense. He asks the State to carry out the sentence. Mr. Eberhart is currently a police officer. Curtis Sabo, a friend of Mr. Kyle, also gave an oral statement and urged the State to carry out the death sentence. 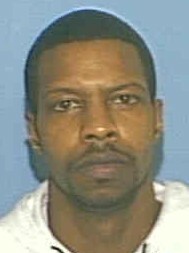 Adremy Dennis is scheduled to be executed on October 13, 2004. A taped interview by the Parole Board was held at the Mansfield Correctional Institution on Sept 10, 2004. The Board reviewed the documents and deliberated extensively on the information provided. The Board split in their decision with five (5) members voting for an unfavorable recommendation and three (3) members voting for a favorable recommendation. Majority Opinion: The majority members of the Board gave considerable focus to the following factors. The evidence overwhelmingly establishes Dennis’ guilt. Dennis continues to minimize his participation in the crimes and lacks sincere remorse as evidenced in his most recent taped interview with the Board. After hearing his taped interview, the majority assessed that Dennis is of the same mindset today as when he committed the instant offenses. Prosecution proved during trial, the clear course of violent conduct by Dennis, beginning with the Aggravated Robbery and Attempted Murder of Mr. Pizer culminating in the Aggravated Robbery and cold blooded Aggravated Murder of Mr. Kyle. Dennis made a self-reporting statement indicating he was a member of the Folks gang and in a leadership role. He also acknowledged selling drugs, thereby affording him the ability to purchase new vehicles and other expensive items. All reviewing courts have agreed that Mr. Dennis received proper representation at trial and during subsequent appeals. His convictions and death sentence have been upheld after nearly 10 years of judicial affirmation. There was nothing presented to suggest any manifest injustice, nor was the mitigation presented regarding his youthful age and neglectful upbringing sufficient to outweigh the aggravating circumstances in this case. As such, a majority of the Ohio Parole Board recommends that Governor Taft not grant clemency to Adremy Dennis. The dissenting members of the Board gave considerable focus to the following mitigating factors. Dissenting members of the Board gave great weight to the arguments put forward by Assistant Public Defender, Stephen A. Ferrell. His assertions have been validated by documented corroboration. The dissenting members of the Board concurred with these findings, that in fact, Dennis was subjected to severe and debilitating child neglect from birth until age fifteen when he was finally removed from his home by Children Services Board and placed in foster care. Dennis’ aunts provided testimony at the Clemency Hearing detailing the lengthy history of neglect at the hands of his parents from infancy and throughout his young life. Dennis’ mother also provided testimony and offered that she did the best she could do. She gave no apology for the effects her utter lack of parenting had on her son. School records indicate a pattern of extreme absenteeism from kindergarten on through middle school, resulting in routine failing grades. The school system missed a vital opportunity to help Dennis when they took no formal action in referring the matter to juvenile court or to Children Services. Thusly, Ms. Dennis was not held accountable for her disregard of her son’s academic and social education. Reports from two psychologists, Dr. James Brown and Dr. Sandra McPherson corroborate the serious effects of Dennis’ childhood neglect. Dr. McPherson’s report in particular provides significant clinical findings that he is not an antisocial or sociopathic individual; that he can invest himself in positive relationships and has the potential to accept authority and structure that is imposed. Test results indicate characteristics of Attention Deficit with Hyperactivity Syndrome and a predisposition to drug and alcohol dependency. Dr. McPherson indicated that such persons are likely to get into trouble with the dominant society unless they have heroic parenting and clearly, Dennis’ parenting was not heroic. She concluded that Dennis is capable of conforming his conduct in the prison setting and is capable of rehabilitation such that he can contribute positively to that structured setting. Dennis’ age at the time of the offense presents strong consideration for mercy. Had he committed this offense 5 months earlier, his age would have completely precluded imposition of the death penalty. But even with the finite statutory eligibility for the death penalty to be imposed, we recognize that his level of maturity at the time of this offense was not very different from what it had been five months earlier. His youthfulness must therefore carry enormous weight in determining what sentence is ultimately appropriate for him for this crime. In regard to mitigating factors, the court ruled that Dennis was entitled to appropriate appreciable weight since he was eighteen years old at the time of the offense. The court also found relevant in mitigation, that his only prior convictions were two juvenile adjudications for criminal damaging and receiving stolen property. Additionally, the court deemed that the lack of effective guidance for Dennis during most of his life was deserving of mitigation. And finally the court determined that Dennis’ apparent remorse over his criminal behavior should be given modest weight in mitigation. In spite of the court’s recognition of these critical mitigating factors it ruled they did not outweigh the aggravating factors. The dissenting members, with all due respect to the court’s decision, do place considerable weight to the stated mitigating factors and further suggest that mercy is warranted at this point in the case. Under Senate Bill 2, Ohio’s current sentencing law, a jury has the option to recommend a sentence of Life without parole. Given all the mitigation presented, one can only speculate as to whether that may have occurred in this case had that been an option. Absent of that as an option at sentencing, the Governor has it within his authority to consider the option at this time. Manifest injustice cannot be found by having Dennis serve the rest of his life in prison. Commutation in this regard will not demean the seriousness or the horrors of the offense. There is no doubt he should be punished harshly for his disregard for Mr. Kyle’s life. For an eighteen year old to serve the rest of his life in prison is clearly harsh, yet deserving. Therefore we respectfully recommend that the Governor Taft consider mercy and commute Dennis’s sentence to a Life sentence without parole. Following consideration of available information, the Ohio Parole Board, with eight (8) members participating, recommends to The Honorable Bob Taft, Governor of the State of Ohio, by a majority vote of five (5) to three (3) that Executive Clemency be denied in the case of Adremy Dennis. Late on Saturday, June 4, and in the early morning hours of Sunday, June 5, Adremy Dennis and Leroy Anderson decided to go to a bar and "meet some chicks." Anderson spoke of "robbing somebody," and the pair armed themselves with weapons: Dennis with a sawed-off shotgun and Anderson with a .25 caliber handgun. As the pair proceeded to the bar, the shotgun, according to Dennis, accidentally went off. Dennis then reloaded the weapon. Before arriving at the bar, the two smoked marijuana. After some drinks, Anderson and Dennis left the bar and encountered a man in an alley near West Market Street and South Highland Avenue. The "taller one" of the two, whom the man later identified as Dennis, was wearing a long black leather coat and told him, "Give me your money. Don’t try and run, don’t try and run. You are going to die tonight, you are going to die." The victim testified that he went backwards, slid and rolled down a hill, then ran away unharmed. He heard a gunshot "just left of me. There was a trash can or something got hit." That same night, Kurt Kyle had raced at Barberton Speedway and afterwards hosted several friends and family members at his home for a cookout and socializing. Later, as one of his guests was leaving, Kyle walked with him to his car where the two continued conversing for a short time. While the guest was seated in his car talking with Kyle, they heard a loud noise, which Kyle told the guest was a gunshot. About three minutes later, two black males approached them in the driveway, out of the view of Kyle’s other guests. The man the guest later identified as Anderson was wearing a green and orange Miami Hurricanes starter jacket, and demanded money while pointing a gun at the guest’s neck. He slowly reached under the car seat for his wallet and handed Anderson $15. At the same time, Dennis, whom the guest described as wearing a long, three-quarter length dark coat, asked Kyle for money. However, Kyle searched through his pockets and told Dennis that he had no money with him. Dennis then pulled out a sawed-off shotgun and shot Kyle in the head at point-blank range. Kyle died instantly of hypovolemic shock (loss of blood) due to a gunshot wound that severed both carotid arteries. According to the witness, the two assailants ran away together "sprinting very fast." A woman who lived in the neighborhood was out walking her dog at around 1:30 a.m. that morning and heard a "loud pop type of sound." About a minute later, she observed two young black males headed in the opposite direction running by her on the other side of Bloomfield Road. She heard one say to the other, "Did you get it?" A few days after the murder, Akron police received an anonymous phone call stating that someone at 371 Grand Avenue knew about the homicide that past weekend. Detectives went to the address, where they met Anderson's mother and told her that a possible suspect was staying at her house. She invited the detectives in and gave them permission to look around the house and to speak to her son, seventeen year-old Lavar Anderson. When the detectives went down to the basement, they noticed a Miami Hurricanes jacket and a long, dark overcoat hanging up in the far corner on a bedrail. At that time, they took Anderson into custody, and he provided detectives information about the location of the murder weapon. After procuring a search warrant, police seized several items from the basement, including the two coats, a .25 caliber pearl handle handgun, a 20 gauge sawed-off shotgun, and seven shotgun shells. Upon completing the search of Anderson’s home, detectives received a call from two officers at 120 Burton Avenue, which was in the same general neighborhood. The police surrounded the house on Burton and thereafter apprehended Adremy Dennis. At the police station, Dennis was advised of his Miranda rights, which he waived. Dennis told several versions as to his whereabouts on June 4-5, 1994 to detectives. After Dennis’s second statement, the officers produced a sawed-off shotgun, which Dennis immediately claimed was his own. In his fourth statement to detectives, Dennis admitted that he and Anderson had planned some robberies that night and admitted holding up the first man they had robbed, and Kyle and his guest. However, while Dennis admitted aiming the sawed-off shotgun at Kyle, he also claimed the gun went off accidentally. Dennis agreed to allow detectives to tape his statement. In his taped statement, Dennis said that he and Anderson had smoked marijuana and then drank at a bar before the robberies and murder. While Dennis admitted he fired the sawed-off shotgun three times that night, he asserted that each shot was accidental and that he "could barely focus" when they came upon Kyle and his party guest. After shooting Kyle, Dennis claimed he almost fell down and that Anderson had to help him flee the scene. Yellow shotgun shell casings were found a few days after the murder. One was found in the area where the first man was accosted, the other was discovered in front of Kyle’s home. A forensic scientist with the Bureau of Criminal Identification and Investigation ("BCI") determined that the two casings were fired from the sawed-off shotgun that Dennis identified as his own. LUCASVILLE, Ohio (AP) — A teen killer who told the parole board that he regretted letting eyewitnesses survive was executed Wednesday for a shotgun murder during a $15 robbery. Adremy Dennis was put to death by injection at the Southern Ohio Correctional Facility. His court appeals were exhausted last week, and Gov. Bob Taft denied clemency. Dennis was 18 when he and an accomplice tried to rob two men outside an Akron home in 1994. One of the men gave up $15. The other, Kurt Kyle, 29, began searching his pockets, and Dennis shot him to death. Dennis blamed Kyle for failing to cooperate and notice that he was high on drugs. "I ain't saying it's all his fault, but why did he move?" Dennis said from death row. "Every day I think about that. It ain't 'Why did you kill that man?' It's 'Why did you move?'" He told the parole board that he would not have left eyewitnesses "if my mind had been right at the time." Kyle's friend who was robbed that night, Martin Eberhart, witnessed the execution. "The punishment fit the crime, and justice has been served," he said. Dennis' accomplice, Leroy Lamar Anderson, was 17 at the time of the crime and Ohio law prohibits the death penalty for those younger than 18. He is serving a life sentence. At age 28, Dennis was the youngest inmate put to death in Ohio since 1962, and his execution was the 15th since the state resumed using the death penalty in 1999. The State of Ohio is scheduled to execute Adremy Dennis, an African-American man, Oct. 13. for the murder of Kurt Kyle in Summit County. According to the state, Dennis and an accomplice robbed Marty Eberhart and Kurt Kyle at gun point at approximately 1:30 a.m. The state alleges that Dennis intentionally shot Kyle after the victim failed to give anything of substance to the defendant. Dennis admits that he shot the victim but maintains the shooting was accidental. He was under the influence of alcohol at the time of the crime as well as possibly during his interrogation. The defense claimed on appeal that his altered state prevented him from being fully aware of his actions. Several problems with the original trial were presented upon appeal of Mr. Dennis’s conviction to the Court of Appeals in Ohio including the specific exclusion of minority voters from the jury pool as well as the specific exclusion of members of the jury pool who had reservations about the death penalty. Unfortunately, as is common in cases involving the death penalty, there is a question of ineffective counsel. During the initial criminal trial, the counsel to the defendant did not raise objections to the challenging of two potential African-American jurors until after the jury had been sworn in. Essentially, the motion was too late to be considered effective. In addition to the various mitigating factors presented during the trial, there are other valid reasons not to execute Dennis. Dennis was the unfortunate recipient of ineffective parenting. According to Dr. Brown, a psychologist who testified on his behalf, stated Dennis lacked effective “parenting” until the age of 15. Adremy’s abusive father left when he was only five years old and he and his brother were removed from his mother’s care when he was 13. After staying in various homes he was eventually placed in a foster home at the age of 15. Dr. Brown also conducted an IQ testing showing Dennis at only three percentage points above what is considered to mentally retarded. Supporters of Dennis point to other problems with the trial involving the jury. They maintain four jurors did not agree with or were undecided with imposing a death sentence. However, they were reportedly pushed to proceed. One jurist did not reveal she had been raped and assaulted as a child. This was discovered during the course of the trial and she was allowed to sign a wavier that she could continue during the deliberation process. A federal lawsuit challenging the constitutionality of lethal injection has been filed on behalf of Dennis and another man on Ohio’s death row. Lethal injection in Ohio consists of using a short-term anesthetic and then administering a paralyzing drug. This combination can combine to leave a person conscious but paralyzed during the very painful effects of death by suffocation and heart attack. It is for this reason that veterinarians forbid the use of this combination of drugs for euthanizing pets. The Ohio Public Defender’s Office is arguing that this violates a person’s constitutional right to be free from cruel and unusual punishment. Please take minute to write Gov. Taft protesting the execution of Adremy Dennis and requesting he grant Mr. Dennis clemency. We ALL have the constitutional right to an unbiased jury of our peers. Is that what Adremy had???? Before Mr. Dennis’ trial, when potential jurors are questioned for possible bias FOUR potential jurors were released due to moral concerns about the death penalty – but one potential juror, who had been a victim of a violent crime, was allowed to stay. Defense attorneys are particularly concerned that the prosecutors used their “peremptory challenge” [the ability to remove any potential juror without cause] to remove 2 African American potential jurors. Mr. Dennis is African American the man he is accused of murdering is white. ALL CHILDREN DESERVE A CHANCE ~ Did Adremy receive his? Note: Adremy’s father left the household when Adremy was 5, Adremy and his brother were removed from his mother’s care at ages 13 and 10, after staying at various homes, Adremy was placed in a foster home at age 15, he remained there until arrest. Age / Development: [Adremy] was devoid of any effective parenting up until around age 15 – Adremy was 18 at the time of the crime – he is currently 28. Judgment: At the time of the offense Adremy was fairly severely intoxicated: 10 cigars of marijuana dipped in embalming fluid, 40's, Olde English, St. Ides, and Tanqueray. Is the death penalty in this case an example of revenge not justice? If Adremy Dennis is executed he will be the 7th man executed by the state of Ohio in 2004. [The only state with more executions than OH in 2004 is Texas.] Adremy could be the 15th man executed by the state since executions resumed in 1999. LUCASVILLE | A man was executed Wednesday for a shotgun slaying during a robbery that netted $15 in 1994. At age 28, Adremy Dennis was the youngest inmate put to death in Ohio since 1962 and the 15th executed since the state resumed using the death penalty in 1999. He was pronounced dead by injection at 10:10 a.m. at the Southern Ohio Correctional Facility. Dennis had said the victim, Kurt Kyle, 29, was partly to blame for the slaying because he put his hand in his pocket after being ordered not to move. He also told an Ohio Parole Board member that he regretted the robbery brought so little cash and that he allowed any witnesses to survive. ''I'm in God's hands now. Everything's going to be just the way it was intended. I'll see everybody when they get there,'' Dennis said when allowed to make a final statement. Defense lawyers said all appeals were exhausted when the 6th U.S. Circuit Court of Appeals in Cincinnati rejected a request last week to postpone the execution for Dennis' challenge that Ohio's method of lethal injection violates the U.S. Constitution as an unacceptably cruel punishment. Gov. Bob Taft followed the state parole board's split recommendation Tuesday and denied clemency, saying Dennis did not prove he was remorseful. Dennis and an accomplice approached Kyle and a friend in front of Kyle's home in Akron. Kyle, a stock race car driver, was celebrating a victory at Barberton Speedway. The friend, Martin Eberhart, handed over $15 at gunpoint. Kyle searched his pockets, prompting Dennis to shoot him. Dennis also blamed Kyle for not cooperating in the robbery when he should have noticed that Dennis was high on drugs and alcohol. ''(Kyle) had to know I was drunk. I know he could smell it on my breath, smell the weed lingering on my clothes,'' Dennis said. A Summit County jury convicted him of aggravated murder, attempted aggravated murder, aggravated robbery and unlawful possession of a gun. Eberhart survived. Dennis' accomplice, Leroy Lamar Anderson, who was 17 at the time, is serving a life sentence. Ohio prohibits the death penalty for defendants younger than age 18. Dennis' mother, Marquita, sobbed while witnessing the execution and was comforted by her aunt. Dennis talked about family memories in his cell before the execution with his mother and great-aunt, prisons spokeswoman Andrea Dean said. Dennis wrote letters to two imprisoned brothers, smoked cigarettes and talked with spiritual advisers about his Christian faith, she said. He prayed at his bedside Tuesday night. Three friends of Kyle's also planned to watch the execution, Dean said. Dennis skipped his final breakfast Wednesday after the special meal he requested Tuesday of fried catfish, lasagna, toasted garlic bread, vanilla ice cream and pecan, pumpkin and sweet potato pie with whipped cream. CINCINNATI (Reuters) - A man convicted of murder during a $15 robbery a decade ago was executed in Ohio on Wednesday, the seventh in the state this year. Adremy Dennis, 28, was pronounced dead at 10:10 a.m. EDT at the state prison in Lucasville, Ohio, following an injection of lethal chemicals, prison officials said. His was the 935th execution in the United States since the death penalty was restored in 1976. Ohio Gob. Bob Taft had denied clemency the day before, saying the case had been thoroughly reviewed and the crime was brutal. Dennis was convicted of aggravated murder for killing Kurt Kyle with a sawed-off shotgun after encountering Kyle and a companion in a driveway in Akron, Ohio. He took $15 from the companion but killed Kyle when he said he had no money, police said. Dennis was 18 when the crime occurred in June 1994. Prison spokeswoman Andrea Dean said Dennis was allowed a special meal the evening before his execution -- fried catfish, lasagna with meat sauce, garlic bread, sweet potato pie, pecan pie and pumpkin pie, all with whipped cream, as well as vanilla and chocolate ice cream. LUCASVILLE - With no hope in sight to ward off his death, condemned killer Adremy Dennis joyfully munched on pie and ice cream as he watched Jerry Springer from Ohio's death house. By 10:15 this morning, Dennis will likely be dead. The governor was apparently the Akron man's last hope. His attorneys do not intend to file any last-minute court papers. ``I would say (the execution) is going to happen,'' said Stephen Farrell, an assistant public defender. Dennis was sentenced to die in 1994 for the robbery and murder of Akron businessman Kurt Kyle, 29. Dennis, 28, arrived at the Southern Ohio Correctional Facility in Lucasville about 10 a.m. Tuesday and was given a medical and psychological exam. He also ordered his last ``special'' meal, a treat Dennis promised would be ``outrageous'' during a media interview last week. The menu included fried catfish, lasagna, sweet potato pie, pecan pie, pumpkin pie, all with whipped cream, and vanilla ice cream. He refused any vegetables. During the afternoon, Dennis drank juice and 7-Up and smoked Newports while watching TV and visiting with family, according to prison spokeswoman Andrea Dean. His mother, stepmother, three aunts and several cousins were expected to visit him. No attorneys were expected to visit until this morning. Dean said Dennis was ``actually in a jovial mood, almost giddy, you could say.'' ``He seems resigned to what's going to happen (today),'' she said to the only two reporters who attended a press briefing Tuesday afternoon. Dennis will remain in the death house until he is escorted to the execution chamber, where he can give a last statement before he is given drugs to stop his heart and breathing. His mother, Marquita Dennis, and aunt, Querita St. Andre, are scheduled to witness the death. Kyle's parents, Howard, 65, and Doreen Kyle, 64, and their only son, Craig, will not attend the execution. The family said last month that they preferred to remain at their Columbiana home. In their place are three of Kurt Kyle's friends, Curtis Sabo, Daniel Briceland and Martin Eberhart, 29, who was seated in a car next to Kyle when Dennis fired the single, fatal shot. Dennis stands to be the youngest inmate executed in Ohio since 1962. He will be the 15th executed since Ohio resumed the death penalty in 1999 and the seventh executed this year. He was 18 when he and his childhood friend, Leroy Levar Anderson, 17, confronted and tried to rob Kyle and Eberhart, who had been joined by family and friends during a cookout in June 1994 at Kyle's Bloomfield Avenue home. Earlier that day, Kyle, a race car enthusiast, had won his first pursuit race at Barberton Speedway. In the driveway of the home and at gunpoint, Eberhart surrendered $15 to Anderson. Kyle, whose wallet was inside his home, was shot by Dennis at near point-blank range with a sawed-off, 20-gauge shotgun. Dennis and Anderson confessed to the crimes days later. Anderson was not eligible for the death penalty because he was a minor. He received a life sentence. At Dennis' clemency hearing last month, his public defenders argued that the Akron man's abusive and neglectful childhood and his young age at the time of the killing were reasons for mercy. Prosecutors argued the crime was heinous and random and that Dennis has shown no remorse for the slaying. The board was sharply split, voting 5-3 against recommending clemency. His last legal battle was lost last week when the 6th U.S. Circuit Court of Appeals in Cincinnati denied a request for a preliminary injunction that would have given Dennis a stay based on a lawsuit he filed earlier this year. The suit claims Ohio's method of execution constitutes cruel and unusual punishment. Death penalty opponents contend one of three drugs used in executions could merely paralyze an inmate and not render the inmate unconscious, as designed. MANSFIELD (AP) -- The way Adremy Dennis sees it, he is being executed over a mere $15, and the robbery victim is partially to blame for his own death. "I told this man 'Don't move,' " Dennis said during a pool interview Oct. 4 from death row at Mansfield Correctional Institution. "I ain't saying it's all his fault, but why did he move? Every day I think about that. It ain't 'Why did you kill that man?' It's 'Why did you move?' "
Dennis is scheduled to be executed by injection Wednesday for killing Kurt Kyle, 29, of Akron during a robbery 10 years ago. Dennis, 28, would be the youngest inmate put to death in Ohio since 1962. During a Sept. 10 interview with a member of the Ohio Parole Board, Dennis said he regretted the robbery netted so little cash. "I'm about to get (profanity) killed over $15," he said. Dennis, of Akron insists the killing with a 20-gauge sawed off shotgun was not planned and he couldn't think straight because he was under the influence of drugs and alcohol. "(Kyle) had to know I was drunk. I know he could smell it on my breath, smell the weed lingering on my clothes. If I come up to you and tell you don't move, you're like this (still)," he said at the Mansfield prison. He told the parole board member he had expected to be found guilty of involuntary manslaughter. Instead a Summit County Common Pleas jury convicted him of aggravated murder, attempted aggravated murder, aggravated robbery and unlawful possession of a gun. "If my intent was to kill this man, like if they say we was out looking for any old Joe to rob, well that's (profanity)," Dennis said. The board voted 5-3 that Gov. Bob Taft deny clemency for Dennis. The dissenting members said Taft should consider clemency, citing Dennis' age at the time of the killing -- 18-- and a troubled childhood. The majority said no evidence of injustice or his age and upbringing warranted clemency. Taft has not made a clemency decision yet. He can allow the execution to proceed or reduce Dennis' sentence. He has commuted the sentence of one inmate since Ohio resumed carrying out the death penalty in 1999. Dennis would be the 15th inmate to be executed during that period. Dennis has exhausted his procedural appeals. But he has a lawsuit pending against the state that claims the lethal-injection process in Ohio is unconstitutional. Prosecutors said during the early morning of June 5, 1994, Dennis and Leroy Lamar Anderson tried to rob a man on an Akron inner-city street, but the man ran away. A short time later, Dennis and Anderson approached Kyle and Martin Eberhart in front of Kyle's home. Kyle, a stock race car driver, was celebrating a victory at Barberton Speedway. Prosecutors said Anderson demanded money while pointing a gun at Eberhart's neck. Eberhart handed over $15, and while Kyle searched his pockets, Dennis shot him in the head. Anderson, who was 17 at the time, is serving a life sentence. Ohio prohibits the death penalty for defendants younger than 18. "He ratted and he got the better deal," Dennis said of Anderson's sentence. Dennis also spoke about allowing witnesses to survive. "If my mind would have been right at the time, and if I would've made my mind up, then c'mon man, it wouldn't have been no eyewitness to that," he told parole board member James Bedra, who voted to grant clemency. "Everybody where I'm from know that you don't leave no eyewitness." Marquita Dennis, 49, said she visited her son in prison recently and he expressed remorse for Kyle's death. "He told me it was an accident, and I believe it," she said. But attorneys for the state and members of Kyle's family have said evidence showed the shooting was not an accident and he has shown no remorse for his crime. Dennis' aunt, Querida St. Andre, 54, of Charleston, S.C., said her nephew had a difficult life from the time he was an infant, including a near drowning as a teenager. Dennis told authorities he was never married but has four children. At approximately 1:30 a.m. on June 5, 1994, the Petitioner, Adremy Dennis, and his companion, Lavar Anderson robbed Marty Eberhart and Kurt Kyle at gunpoint. Earlier that evening, the pair attempted to rob Dean Pizer and told him he was going to die. Pizer was able to get away. As he escaped, Pizer heard a gunshot to the left of him. A shotgun shell was recovered from the area a few days later. During the robbery of Kyle and Eberhart, Dennis pointed a sawed-off shotgun at Kurt Kyle and shot him in the head at point blank range. Kyle died instantly. The robbery netted the pair fifteen dollars. A shotgun shell was found in front of Kyle's residence. Both shells were fired from a saw-off shotgun retrieved from Anderson's residence. FN1. Dennis was also sentenced to ten to twenty-five years on count two, plus three years for the gun specification, to run concurrently with the sentences on counts one and two; ten to twenty-five years on count three, plus three years for the gun specification, to run concurrently with the sentences on counts one and two; ten to twenty-five years on count four, plus three years for the gun specification, to run concurrently with the sentences on counts one and two; ten to twenty-five years on count five, plus three years for the gun specification, to run concurrently with the sentences on counts one and two; ten to twenty-five years on count five, plus three years for the gun specification, to run concurrently with the sentence on count two; and three to five years on count six, to run consecutively to the sentences on counts one, two, and four. Dennis appealed to this court. On May 8, 1996, we affirmed his conviction and sentence of death. State v. Dennis (May 8, 1996), Summit App. No. 17156, unreported. Dennis appealed to the Supreme Court of Ohio, which affirmed our decision on September 24, 1997 in State v. Dennis (1997), 79 Ohio St.3d 421, 683 N.E.2d 1096. On September 20, 1996, Dennis filed a timely petition to vacate or set aside sentence in the Summit County Court of Common Pleas. The petition asserted thirty-two claims for relief. The state responded to Dennis' petition, asserting that all of the claims raised by Dennis were or could have been raised at trial and were barred by the doctrine of res judicata. The trial court denied Dennis' petition and request for an evidentiary hearing on February 11, 1997. Dennis appeals, assigning six errors. Defendant was convicted upon jury verdict in the Court of Common Pleas, Summit County, of aggravated murder, attempted aggravated murder, and aggravated robbery, and was sentenced to death. Defendant appealed. The Court of Appeals affirmed, and defendant appealed. The Supreme Court, Alice Robie Resnick, J., held that: (1) defendant made knowing, voluntary, and intelligent waiver of his Miranda rights; (2) defendant lacked standing to object to search warrant or subsequent search of home in which accomplice lived; (3) prosecutor's use of peremptory challenges to exclude prospective jurors who expressed reservations about death penalty was race-neutral; (4) sufficient evidence supported conviction for attempted aggravated murder charge and course of conduct specification; (5) court did not err by allowing victim-impact testimony of victim's brother and mother during penalty phase; (6) defendant was not denied effective assistance of counsel during voir dire and penalty phase; and (7) imposition of death penalty was appropriate and proportionate when compared with similar cases. Affirmed. During the early morning hours of June 5, 1994, defendant-appellant, Adremy L. Dennis, and Leroy "Lavar" Anderson stopped Dean R. Pizer in the Highland Square area of Akron and demanded money. Pizer escaped, even though a shotgun blast was fired at him as he fled. Shortly thereafter, Dennis shot and killed Kurt O. Kyle during a robbery in front of Kyle's home at 818 Bloomfield Road. Dennis later admitted he shot Kyle during a robbery, and he was subsequently convicted of aggravated murder, attempted aggravated murder and aggravated robbery, and sentenced to death. Late on Saturday, June 4, and in the early morning hours of Sunday, June 5, Dennis and Anderson decided to go to a bar and "meet some chicks." Anderson spoke of "robbing somebody," and the pair armed themselves with weapons: Dennis with a sawed-off shotgun and Anderson with a .25 caliber handgun. As the pair proceeded to the bar, the shotgun, according to Dennis, accidentally went off. Dennis then reloaded the weapon. Before arriving at the bar, the two smoked marijuana. After some drinks, Anderson and Dennis left the bar and encountered Dean Pizer in an alley near West Market Street and South Highland Avenue. The "taller one" of the two, whom Pizer identified as Dennis, was wearing a long black leather coat and told Pizer, "Give me your money. * * * Don't try and run, don't try and run. You are going to die tonight, you are going to die." Pizer testified that he went backwards, slid and rolled down a hill, then ran away unharmed. He heard a gunshot "just left of me. There was a trash can or something got hit * * *." That same night, Kurt Kyle had raced at Barberton Speedway and afterwards hosted several friends and family members at his home for a cookout and socializing. Later, as one of his guests, Martin Eberhart, was leaving, Kyle walked with him to his car where the two continued conversing for a short time. While Eberhart was seated in his car talking with Kyle, they heard a loud noise, which Kyle told Eberhart was a gunshot. About three minutes later, two black males approached them in the driveway, out of the view of Kyle's other guests. The man Eberhart identified as Anderson was wearing a green and orange Miami Hurricanes Starter jacket, and demanded money while pointing a gun at Eberhart's neck. Eberhart slowly reached under the car seat for his wallet and handed Anderson $15. At the same time, Dennis, whom Eberhart described as wearing a long, three-quarter-length dark coat, asked Kyle for money. However, Kyle searched through his pockets and told Dennis that he had no money with him. Dennis then pulled out a sawed-off shotgun and shot Kyle in the head at point-blank range. Kyle died instantly of hypovolemic shock (loss of blood) due to a gunshot wound that severed both carotid arteries. According to Eberhart, the two assailants ran away together "sprinting very fast." Anita Foraker, who lived in the neighborhood, was out walking her dog at around 1:30 a.m. that morning and heard a "loud pop type of sound." About a minute later, she observed two young black males headed in the opposite direction running by her on the other side of Bloomfield Road. She heard one say to the other, "Did you get it?" A few days after the murder, Akron police received an anonymous phone call stating that someone at 371 Grand Avenue knew about the homicide that past weekend. Detective Donald L. Gaines and another detective went to the address, where they met Shirley Morgan and told her that a possible suspect was staying at her house. Morgan invited the detectives in and gave them permission to look around the house and to speak to her son, seventeen-year-old Lavar Anderson. When the detectives went down to the basement, they noticed a Miami Hurricanes jacket and a long, dark overcoat hanging up in the far corner on a bedrail. At that time, they took Anderson into custody, and he provided detectives information about the location of the murder weapon. After procuring a search warrant, police seized several items from Morgan's basement, including the two coats, a .25 caliber pearl handle handgun, a 20 gauge sawed-off shotgun, and seven shotgun shells. Upon completing the search of Morgan's home, Gaines received a call from two officers at 120 Burton Avenue, which was in the same general neighborhood. The police surrounded the house on Burton and thereafter apprehended Adremy Dennis. At the police station, Dennis was advised of his Miranda rights, which he waived. Dennis told several versions as to his whereabouts on June 4-5, 1994 to Detectives Gaines, Lacy, and Offret. After Dennis's second statement, Gaines produced a sawed-off shotgun, which Dennis immediately claimed was his own. In his fourth statement to detectives, Dennis admitted that he and Anderson had planned some robberies that night and admitted holding up Pizer, Eberhart and Kyle. However, while Dennis admitted aiming the sawed-off shotgun at Kyle, he also claimed the gun went off accidentally. Dennis agreed to allow detectives to tape his statement. In his taped statement, Dennis said that he and Anderson had smoked marijuana and then drank at a bar before the robberies and murder. While Dennis admitted he fired the sawed-off shotgun three times that night, he asserted that each shot was accidental and that he "could barely focus" when they came upon Kyle and Eberhart. After shooting Kyle, Dennis claimed he almost fell down and that Anderson had to help him flee the scene. Yellow shotgun shell casings were found a few days after the murder. One was found in the area where Pizer was accosted, the other was discovered in front of Kyle's home. Nancy E. Bulger, a forensic scientist with the Bureau of Criminal Identification and Investigation ("BCI"), determined that the two casings were fired from the sawed-off shotgun that Dennis identified as his own. The grand jury indicted Dennis on one count of aggravated murder, one count of attempted murder, three counts of aggravated robbery, and one count of possession of dangerous ordnance. All of the counts carried a firearms specification, and the dangerous ordnance charge also carried a physical-harm specification. The aggravated murder count also carried two death specifications: murder during an aggravated robbery, where Dennis was the principal offender (R.C. 2929.04[A] ); and murder committed as a course of conduct involving the killing or attempt to kill two or more persons (R.C. 2929.04[A] ). A jury trial commenced December 12, 1994. After deliberation, the jury found Dennis guilty as charged. During the mitigation hearing, several witnesses testified on Dennis's behalf, including an aunt on his mother's side, his foster mother, and a psychologist, Dr. James L. Brown. Dr. Brown concluded that he found at least three factors militating against imposing the death penalty on Dennis: (1) Dennis's development--he lacked effective "parenting" until he was about fifteen years old; (2) Dennis's intoxication at the time of the offense, due to consuming alcohol and smoking marijuana dipped in embalming fluid, which further impaired his judgment; and (3) Dennis's youth. Dennis gave unsworn testimony and claimed that he didn't intend to shoot Kyle, and that he "was drunk and nervous and scared and the gun went off and I ran." Dennis expressed remorse for what he had done and stated that he was sorry for what he had done to the Kyle family. The parties stipulated that Dennis has no adult criminal record and only two juvenile adjudications: criminal damaging and receiving stolen property. The jury recommended the death penalty, and the trial court imposed a death sentence on Dennis. The court also imposed consecutive and concurrent sentences for Dennis's other offenses. Upon appeal, the court of appeals affirmed the convictions and sentence of death. The cause is now before this court upon an appeal as of right. At trial, Pizer testified that Dennis and another individual accosted him with guns when he was in the Highland Square area on the night or early morning hours of June 4-5, 1994. Dennis did most of the talking, and asked Pizer for his money. Then, Dennis told him, "Don't try and run, don't try and run. You are going to die tonight, you are going to die." When Pizer fled the scene, he "heard a gunshot just left of me. There was a trash can or something got hit." In his recorded statement, Dennis admitted that he and Anderson held up a man near the bar in Highland Square. Dennis stated that when the victim took off running, "I got the gauge [shotgun] out and * * * shot it again." One witness testified that two days after the shooting, he found a yellow shotgun shell on the sidewalk near the bar in the Highland Square area. The shotgun shell was determined to have been fired from the murder weapon. Construing this evidence in a light most favorable to the state, a rational factfinder could have found the essential elements of the attempted aggravated murder charge and course-of-conduct specification proven beyond a reasonable doubt. Therefore, we overrule Proposition of Law No. 11. After independent assessment, we find that the evidence supports beyond a reasonable doubt the aggravating circumstance that Dennis murdered Kurt Kyle while committing aggravated robbery and that Dennis was the principal offender. R.C. 2929.04(A)(7). In addition, the evidence supports beyond a reasonable doubt the aggravating circumstance that Dennis attempted to kill Pizer before murdering Kyle as part of a course of conduct involving the purposeful killing or attempt to kill two or more persons. R.C. 2929.04(A)(5). Nothing in the nature and circumstances of the offense appears mitigating. Dennis and Lavar Anderson decided to go out on a robbery spree armed with guns. Perhaps to help them summon up the courage to do so, the pair smoked marijuana and drank at a bar before encountering their first victim, Dean Pizer. Dennis told Pizer, "You are going to die tonight, * * *," and tried to kill Pizer when he fled. Minutes later, Dennis and Anderson held up Kyle and Eberhart in Kyle's driveway. Eberhart handed money over to Anderson, but Kyle told Dennis he didn't have any money on him. Before Kyle could even get his hand out of his pocket, Dennis raised his shotgun and fired, at point-blank range, a blast at Kyle's head, killing him instantly. Dennis and Anderson fled the scene and were not apprehended until several days later, when the police acted on an anonymous tip. Dennis's claim that he was so intoxicated he could barely stand or walk that evening lacks credibility in view of all the evidence and testimony adduced and proffered at trial. Dennis's history, character, and background indicate some mitigating features. Dennis's mother was nineteen when he was born, and his parents experienced marital difficulties from the time Dennis was three weeks old. The problems with the marriage culminated in the parents' separating when Dennis was five to six years old. In school, Dennis had a history of limited academic success, and his numerous absences and academic difficulties caused him to repeat both kindergarten and first grade. In later grades, Dennis continued to miss many days of school and failed most subjects. When Dennis became a teenager, his home situation grew worse. Dennis's mother became a person who was "just not caring" about anything with her two children. All of the utilities at home were shut off. As a result, the county children services board ("CSB") took the Dennis children from the mother, and Dennis was eventually placed in a foster home. Dennis suffered a coma as the result of a swimming accident during the summer of 1992 and almost drowned. As Dennis approached adulthood, he completed an independent living program operated by the CSB. Dennis later asked the CSB about the Job Corps, and in February 1994, he went to Edinburg, Indiana, to obtain job training and earn his G.E.D., which he did. Dennis returned to his foster home in Akron in April 1994, and the CSB requested termination of his long-term foster care, since he had reached the age of majority. During the mitigation hearing, Dennis gave unsworn testimony describing the events leading up to and including the robberies and murder. Dennis expressed remorse and sorrow for Kyle's family and claimed he never meant to kill Kyle. Dr. James L. Brown, a clinical and forensic psychologist, also testified on Dennis's behalf. Dr. Brown reviewed Dennis's school and medical records and interviewed Dennis, his aunt and foster mother. In addition, Dr. Brown reviewed Dennis's psychosocial history and gave him the Minnesota Multiphasic Personality Inventory. Dr. Brown opined that Dennis had difficulties with social and interpersonal relationships and that he tended towards antisocial activities. Dennis has exceedingly poor judgment and great difficulty learning from experience. Typically, Dennis would view emotional feelings as a weakness and would therefore tend to put on a strong, uncaring facade. In Dr. Brown's opinion, three factors should mitigate against imposing death on Dennis: (1) He lacked any effective "parenting" until around age fifteen; (2) he was intoxicated at the time of the offense, due to drinking alcohol and smoking marijuana dipped in embalming fluid to intensify its effect; and (3) he was only eighteen at the time of the offense. Dr. Brown stated that Dennis has an I.Q. of 86, which would put him in the low average range of intelligence. However, Dr. Brown conceded that Dennis knew right from wrong. Dr. Brown did not testify that Dennis's developmental problems gave rise to any mental disease or defect. With regard to the statutory mitigating factors, R.C. 2929.04(B)(4) is entitled to appropriate appreciable weight in mitigation, since Dennis was eighteen years old at the time of the offense.R.C. 2929.04(B)(5) is also relevant since his only prior convictions were two juvenile adjudications for criminal damaging and receiving stolen property. While Dennis admitted using marijuana, he had never been charged with a drug offense. Under R.C. 2929.04(B)(7), several facts testified to by Dr. Brown are mitigating, such as the lack of any effective guidance for Dennis during most of his life, resulting in antisocial psychological tendencies. In addition, Dennis's apparent remorse over his criminal behavior should be given modest weight in mitigation. However, we assign no mitigating weight to Dennis's voluntary drunkenness and marijuana intoxication. See Slagle, 65 Ohio St.3d at 614, 605 N.E.2d at 931. Voluntary intoxication can constitute a "weak" mitigating factor, but only in certain circumstances. D'Ambrosio, 73 Ohio St.3d at 145, 652 N.E.2d at 714. Upon independent weighing, we conclude that the aggravating circumstances outweigh the mitigating factors beyond a reasonable doubt. Dennis and his accomplice armed themselves and set out to rob people on the night of June 4, 1994. Dennis's drinking and marijuana smoking before the crimes are indicative of someone trying to raise up the courage to follow through with his intentions. Dennis fired his sawed-off shotgun at Pizer when Pizer fled. Dennis reloaded his sawed-off shotgun, showing that he was not content to use it merely as a prop to rob money from his next victim. While Dennis and Anderson robbed Kyle and Eberhart, Dennis fired his weapon again when Kyle produced no money, even though Anderson successfully robbed Eberhart at the same time. Dennis's course of action that night was clear: if he did not obtain money from his robbery victims, he would fire a shotgun blast their way. We hold that in spite of the mitigating factors present in this case, Dennis's actions in these crimes merit the capital penalty to which he was sentenced. We further find that the death penalty imposed in this case is both appropriate and proportionate when compared with similar cases of murder as a course of conduct involving the purposeful killing or attempt to kill two or more persons. See, e.g., State v. Loza (1994), 71 Ohio St.3d 61, 641 N.E.2d 1082; Lundgren, 73 Ohio St.3d 474, 653 N.E.2d 304. The penalty is also appropriate and proportionate when compared with capital cases combining aggravated murder with aggravated robbery. See, e.g., State v. Green (1993), 66 Ohio St.3d 141, 609 N.E.2d 1253; Lott, 51 Ohio St.3d 160, 555 N.E.2d 293. For all the foregoing reasons, the judgment of the court of appeals is affirmed. Judgment affirmed. Following affirmance of convictions for aggravated murder, attempted aggravated murder, and aggravated robbery and of death sentence, 683 N.E.2d 1096, petition for writ of habeas corpus was filed. The District Court, Gwin, J., held that: (1) Anti-Terrorism and Effective Death Penalty Act (AEDPA) applied to petition; (2) petitioner procedurally defaulted several claims; (3) petitioner's claim which was raised in his petition before United States Supreme Court was not procedurally barred; (4) limitation placed on petitioner's eligibility for evidentiary hearing on state post-conviction review did not violate due process; (5) failure to remove juror did not deprive petitioner of fair trial; (6) jurors were properly excused for cause; (7) prosecutor's reasons for using peremptory strikes were race-neutral; (8) admission of murder victim photographs and of victim-impact testimony did not violate due process; (9) petitioner made knowing, voluntary and intelligent waiver of his Miranda rights; (10) supplemental instruction which told jury to continue deliberating did not deprive petitioner of fair trial; (11) state supreme court's decision that petitioner was not denied effective assistance of counsel was not based on unreasonable application of federal law so as to warrant federal habeas relief; and (12) withholding of evidence by prosecution was not Brady violation. Petition dismissed. The State of Ohio convicted Petitioner Dennis of the murder of Kurt O. Kyle. The State alleged, and the jury found, that on June 5, 1994, Dennis killed Kurt Kyle by shooting him in the head with a sawed-off shotgun at point blank range. The jury further found that Dennis killed Kyle during a robbery attempt and as part a course of conduct involving the killing or attempt to kill two or more persons--both death specifications under Ohio law. The jury recommended the death penalty, and the court imposed a death sentence on Dennis. On the night of Kyle's murder, Dennis and a friend, Leroy "Lavar" Anderson, went out together. At the time they went out, they spoke of "robbing somebody." They armed themselves: Dennis with a sawed-off shotgun and Anderson with a .25 caliber handgun. As the pair proceeded to a bar, they smoked marijuana. At the bar, Dennis and Anderson had a few drinks. After leaving the bar, they encountered Pizer in an alley near West Market Street and South Highland Avenue, in Akron, Ohio. Pizer testified that Dennis was wearing a long black leather coat. After approaching Pizer, Dennis told Pizer, "Give me your money..... Don't try and run, don't try and run. You are going to die tonight, you are going to die." Pizer moved backwards, slid and rolled down a hill. As he ran, he heard a gunshot "just left of me. There was a trash can or something got hit...." He then ran away unharmed. As Dennis and Anderson were confronting Pizer, Kurt Kyle hosted a cookout at his home. Later, Kyle escorted a departing guest, Martin Eberhart, to Eberhart's car. At the car, Kyle continued his conversation with his friend. While Eberhart was seated in his car talking with Kyle, they heard a loud noise. Kyle told Eberhart the sound was that of a gunshot. Shortly after the gun shot, Dennis and Anderson approached Kyle and Eberhart in Kyle's driveway. At this location, they were out of the view of Kyle's other guests. As he approached with Dennis, Anderson demanded money while pointing a gun at Eberhart's neck. Eberhart slowly reached under the car seat for his wallet and handed Anderson $15. At the same time, Dennis demanded money from Kyle. As Dennis threatened him, Kyle searched his pockets and told Dennis that he had no money with him. Dennis then took the sawed-off shotgun and shot Kyle in the head at point-blank range. The shotgun blast severed both of victim Kyle's carotid arteries. Kyle died instantly of hypovolemic shock. Dennis and Anderson then ran away together "sprinting very fast." About a minute after the blast to Kyle's head, Anita Foraker, a neighbor, walked her dog on Bloomfield Road. At that time, she saw two young black males near her on the other side of Bloomfield Road. She heard one say to the other, "Did you get it?" Within a few days of the murder, an anonymous caller told the Akron Police that someone at 371 Grand Avenue had information about Kyle's killing. Akron detectives went to the address, where they met Shirley Morgan. Ms. Morgan gave the detectives permission to enter her house, to look around the house, and to speak to her son, seventeen-year-old Lavar Anderson. In the basement of Morgan's house, the detectives noticed clothing similar to the clothing identified as having been worn by the assailants who robbed Eberhart and Kyle. After viewing the clothing, the detectives took Anderson into custody. While in custody, Anderson gave detectives information about the location of the murder weapon. With this information, the detectives obtained a search warrant. Executing this search warrant, the police seized several items from Morgan's basement, including the two coats, a .25 caliber pearl handle handgun, a 20 gauge sawed-off shotgun, and seven shotgun shells. Soon after, police arrested Dennis. After his arrest, Dennis waived his Miranda rights. In interviews following this waiver, Dennis told several versions of where he had been on June 4 and 5, 1994. An Akron detective then confronted Dennis with the sawed-off shotgun obtained from Anderson's residence. Dennis identified the shotgun as his own. After further questioning, Dennis admitted that he and Anderson had planned to commit robberies. He then admitted robbing Pizer, Eberhart, and Kyle. Dennis confessed to aiming the sawed-off shotgun at Kyle, but claimed the gun went off accidentally. FN4. Dennis claimed he "could barely focus" when they came upon Kyle and Eberhart. After shooting Kyle, Dennis claimed he almost fell down and that Anderson had to help him flee the scene. This testimony was contradicted by Eberhart who testified that Dennis and Anderson "ran away together sprinting very fast." The testimony was also contradicted by neighbor Foraker, who testified that Dennis and Anderson ran away. In examining the scene, police found yellow shotgun shell casings near where Pizer reported being accosted, and also in front of Kyle's home. A forensic scientist from the Ohio Bureau of Criminal Identification and Investigation gave the opinion that the two casings were fired from the sawed-off shotgun that Dennis acknowledged as his own. The grand jury indicted Dennis on one count of aggravated murder, one count of attempted murder, three counts of aggravated robbery, and one count of possession of dangerous ordnance. All counts carried a firearms specification, and the dangerous ordnance charge also carried a physical-harm specification. The aggravated murder count also carried two death specifications: (1) murder during an aggravated robbery, where Dennis was the principal offender (OH Rev. Code § 2929.04[A] ); and (2) murder committed as a course of conduct involving the killing or attempt to kill two or more persons (OH Rev.Code § 2929.04[A] ). On December 12, 1994, Dennis's trial began. After trial, the jury found him guilty as charged. The trial court then conducted a mitigation hearing where Dennis presented evidence. In mitigation, Dennis gave unsworn testimony claiming he did not intend to shoot Kyle, and that he "was drunk and nervous and scared and the gun went off and I ran." Dennis expressed remorse for what he had done and stated that he was sorry for what he had done to the Kyle family. On December 20, 1994, the jury returned a unanimous verdict and recommended the death penalty. On December 29, 1994, the Summit County Common Pleas Court adopted the jury's recommendation and sentenced Dennis to death. Dennis appealed to the Summit County Court of Appeals. On May 8, 1996, the court of appeals upheld Dennis' conviction and death sentence. See State v. Dennis, No. 17156, 1996 WL 233501 (Summit County Ct.App. May 8, 1996) (unreported). On June 14, 1996, Dennis filed a notice of appeal to the Ohio Supreme Court. On September 24, 1997, the court affirmed the conviction and sentence. See State v. Dennis, 79 Ohio St.3d 421, 683 N.E.2d 1096 (1997). Dennis then filed a petition for a writ of certiorari to the Supreme Court of the United States. On February 23, 1998, the Supreme Court of the United States denied Dennis's petition for certiorari. See Dennis v. Ohio, 522 U.S. 1128, 118 S.Ct. 1078, 140 L.Ed.2d 136 (1998). After all of Dennis's avenues for relief on direct appeal ended, Dennis filed a petition for postconviction relief. On September 20, 1996, Dennis filed this petition under Ohio Revised Code § 2953.21 in the Summit County Common Pleas Court. On February 11, 1997, the common pleas court denied all of Dennis's claims for relief. Dennis next appealed the denial of his postconviction petition to the Summit County Court of Appeals. On November 19, 1997, the court of appeals affirmed the trial court's dismissal of Dennis's postconviction petition. See State v. Dennis, No. 18410, 1997 WL 760680 (Summit County Ct.App. November 19, 1997) (unreported). On January 5, 1998, Dennis filed a Memorandum in Support of Jurisdiction in the Ohio Supreme Court. On March 11, 1998, the court declined to hear the case and dismissed Dennis's postconviction appeal. See State v. Dennis, 81 Ohio St.3d 1468, 690 N.E.2d 1287 (1998). On June 30, 1998, Dennis filed a petition for a writ of habeas corpus with this Court. The Court now considers Dennis's petition. Upon reviewing the petition, the Court finds that Petitioner Dennis is not entitled to a writ of habeas corpus. Background: Following affirmance of aggravated murder conviction and death sentence, 79 Ohio St.3d 421, 683 N.E.2d 1096, petition for writ of habeas corpus was filed. The United States District Court for the Northern District of Ohio, James Gwin, J., 68 F.Supp.2d 863, denied petition. Petitioner appealed. Holdings: The Court of Appeals, Suhrheinrich, Circuit Judge, held that: (1) failure to remove juror from panel after learning that she was victim of sexual abuse did not deprive petitioner of fair trial; (2) potential jurors who stated that they could not follow law and recommend death penalty were properly excused for cause; (3) failure to allow questions during voir dire to potential jurors on specific mitigating factors did not render trial fundamentally unfair; (4) exercise of peremptory challenges to exclude prospective jurors based upon opposition to death penalty did not violate petitioner's right to impartial jury; and (5) exercise of peremptory challenges to exclude two African-American prospective jurors did not violate Batson. Affirmed.